The Milwaukee Brewers claimed lefty Michael Kirkman off of waivers on Thursday. The Milwaukee Brewers have claimed left-handed reliever Michael Kirkman off of waivers from the San Diego Padres. 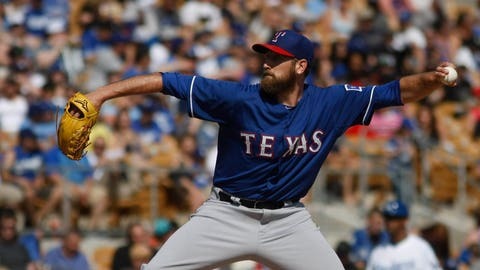 The sixth-year pitcher spent five seasons with the Texas Rangers before appearing in one game for the Padres earlier this season. Kirkman has a 5.25 career ERA through 95 games and 108 innings pitched, and was claimed by the Brewers after being designated for assignment by San Diego on Monday. Milwaukee won’t have to clear a 40-man roster spot for Kirkman after optioning Sam Freeman to Triple-A. Kirkman is out of options, and would need to pass through waivers once again in order to be placed in the minors.